Rejoice! Sony says the PlayStation Network is back online following a DDOS attack that had left online PlayStation services—among other game networks—crippled for the past two days. 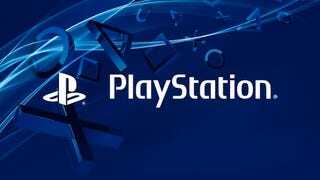 UPDATE: The PlayStation Network and Sony Entertainment Network are back online and people can now enjoy the services on their PlayStation devices. The networks were taken offline due to a distributed denial of service attack. We have seen no evidence of any intrusion to the network and no evidence of any unauthorized access to users' personal information. In light of today's issue, the networks will not undergo the regularly scheduled maintenance, which was planned for Monday, August 25. We will provide an update shortly for when the maintenance will be rescheduled. We sincerely apologize for the inconvenience caused by this issue. Thanks for your patience and support. Yesterday, the group that claimed responsibility for the DDOS attack against the PlayStation Network also tweeted a bomb threat to American Airlines, diverting a plane that was carrying Sony Online Entertainment president John Smedley.